The Calendar Module allows you to add as many different calendars as you need. You can have a separate calendar for each department, committee, team, or any other category within your organization. Each calendar will list unique events for any day of the month. Place the events from multiple calendars on a single calendar display. Built in event search feature. The calendar display can be set to weekly, monthly, yearly or you can allow your viewers to pick a view. Choose event recurrence periods (one-time event, weekly, bi-weekly, monthly) and duration. Add detailed description, images, maps, email & website links for each event. The calendar can connect with Form Builder to take online event registrations and payments. Works with our Coming Events plugin to display a text list of upcoming events on any page of your website. 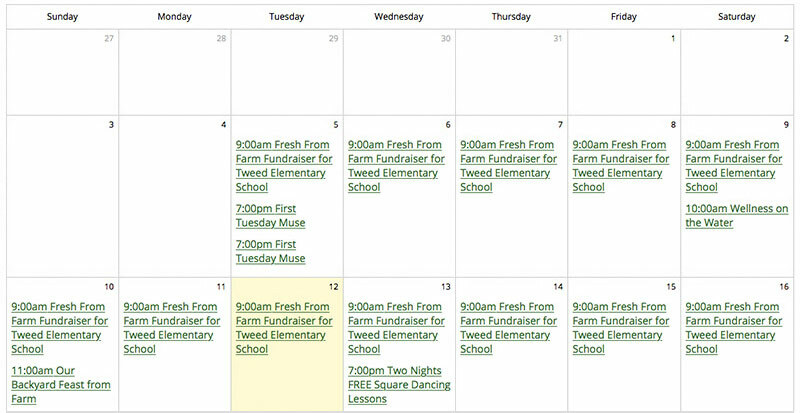 Powers our mini calendar plugin - an excellent way to showcase your events right on your website's home page. Calendar can be set to not allow overlapping events which is great for room bookings or appointments.